NETinfo’s flagship products, NETinfo Digital Banking Platform and NETinfo Mobile Financial Services (MFS), have successfully been part of the digital transformation process of banks and financial institutions, in 21 countries worldwide. 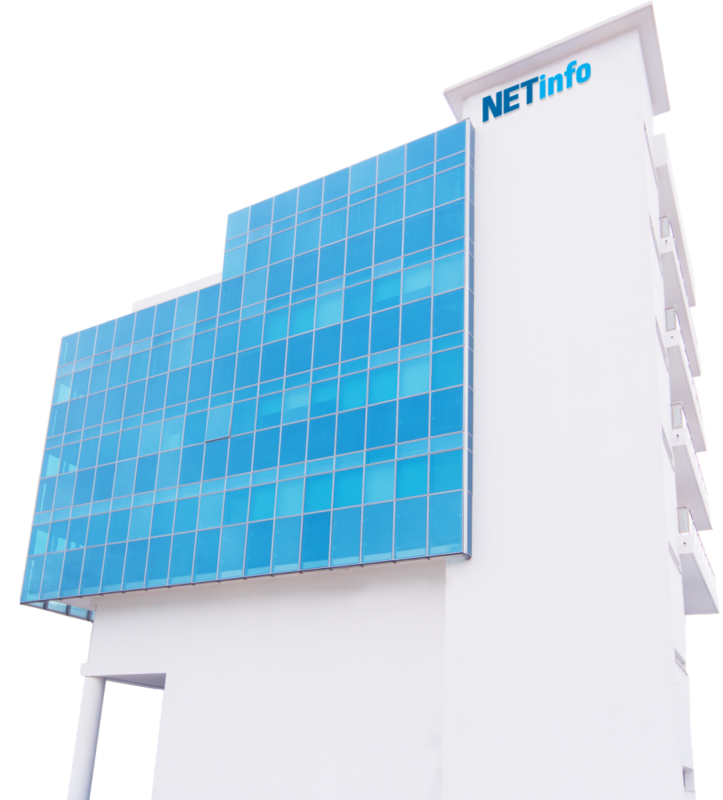 NETinfo was founded in 2000 and is headquartered in Cyprus, with additional offices in the United Kingdom, Russia, Colombia and Kenya. From the outset, our goal has been to provide advanced digital solutions for all members of the financial community, whether small businesses or global banks. We are continually developing and refining our core NETinfo Digital Banking Platform, and in 2012 we launched NETinfo Mobile Financial Services (MFS). Our technical and consulting specialists are based in Cyprus, and they develop and support all our products. Thanks to our dedication and keen focus digital innovation, we are one of the fastest-growing organisations in our field. According to Forrester: ‘’NETinfo is one of the two evaluated vendors whose reference clients expressed no doubt about whether they would choose it again.” This endorsement reflects the expertise that has enabled NETinfo’s customers to remain competitive and offer a superior banking services to their own customers. Highly accomplished chief executive / chairman with a 35-year international career. Roles include CEO London Capital Group Plc., Founding Chairman and CEO Saxo Bank Asia Pacific, CEO Patsystems Plc., Partner KPMG. Dr. Kammas is the Director General of the Association of Cyprus Banks and a member of the Executive Committee of the European Banking Federation (EBF) in Brussels. He holds the position of the Vice Chairman, of the Banking Committee for European Social Affairs (BCESA) of EBF and since May 2017, is also the Chairman of the Audit, Risk and Budget Committee of the European Banking Federation. He holds a Ph.D. in Economics from the University of Utah, USA and MA and BA degrees in Economics from Roosevelt University, Chicago, Illinois, USA. Degree in Business Administration from the Athens University of Economics and Business Science. AS•NET is a Colombian company founded in 1994, with extensive experience in the design, development and implementation of advanced transactional solutions for leading companies in different industrial segments, both in Colombia and internationally. Its growth trajectory includes organizations in the Colombian financial sector and countries such as the United States, Peru, Nicaragua and Costa Rica. AS•NET is NETinfo’s strategic partner in Colombia, Latin America. AS•NET and NETinfo, under their agreement, supply, install and support in this area a Software as a Service (SaaS) model digital banking platform, called NOS (NETinfo Omnichannel Suite). NOS is a secure, user-friendly and powerful tool for Banking customers to perform their everyday financial activities through the internet and mobile banking. Founded in 1975, Computel designs and delivers technology-enabled business solutions that help your organization become more competitive. Computel delivers industry specific business solutions to a number of industries including Banking & Finance, Media, Industry, Contracting, Insurance, Education, Telecommunications and Healthcare. Computel is able to stretch its coverage of the technology landscape through strategic joint ventures, extensive and strategic vertical focus and a well-trained and talented workforce. Payment Components is a rapidly growing technology company, with offices in London and Athens and clients across five continents. It provides financial services knowledge and expertise in developing mission-critical financial systems and the latest trends in fintech innovation for banks, corporates and fintechs. The partnership enables NETinfo’s platform to integrate with Payment Components’ aplonAPI™ Open Banking API framework. This will allow banks to open their interfaces to the public in a secure and PSD2-compliant way, while providing them with a portal (offering relevant information/documentation and a sandbox environment for third parties) and an administration module for building, managing and reporting on all APIs. Oracle is one of the top information and technology companies in the world and is universally recognised for its solutions and services to all industries. NETinfo is a Gold-level member in the Oracle Partner Network (OPN). This is a mark of recognition from Oracle as a compatible partner, and guarantees integration with Oracle products. DataVision has been crafting software solutions for the banking and financial services industry for more than 25 years. Over these years, the company has produced best-in class product suite covering core and surrounding areas such as channels, compliance, microfinance, transaction banking and payments. Guided by the belief that it has an important stake in the success and growth of its customers’ businesses, the company’s approach has always been to partner with customers to achieve increased reliability, operational efficiency, and the flexibility to adapt to the ever changing business and regulatory environment. Datavision’s leadership team draws upon the vast knowledge and expertise gathered from a combined 150 years’ experience across all segments in the end Banking and financial services sector in India and abroad. The company aims to be an innovative IT group with world class products and services. iSPIRAL delivers innovative solutions, which focus on resolving your Fraud, KYC, AML, Governance-Risk & Compliance challenges. A leading Regulatory Technology company that provides a one-stop software to comprehensively address the compliance objectives and obligations set by regulators worldwide. With particular proficiency in the financial sector, iSPIRAL’s expertise combines global partnerships, machine learning technology, real-time activity monitoring, and data analysis to ensure that the organization consistently delivers exceptional flexibility, efficiency, and quality results. Axia: the award-winning Investment Management platforms for advanced Wealth, Asset and Fund Management, Personal/Private Banking, Robo-Advisory and Custody with cloud/web-based, omni-channel capabilities ensuring a competitive user experience in an automated and, compliant operational environment. The company “SERVICE YOU” was established in 2012 as a supplier of licensed software, IT services and equipment. Thanks to the new business model, which unites the team in various IT fields, the company has established itself as an active player, aimed at the result and achieving the business goals of the Customer. Transparent pricing model, highly qualified team, along with leading foreign IT partners, allows the company to gain new horizons and look to the future. Obligation: “SERVICE YOU” fulfills all the obligations taken in a quality and on time. Fair Play: “SERVICE YOU” builds an honest and transparent model of the relationship with the Customer based on mutual trust. On leadership: “To be partners of the best, to be the best partners” is their goal, and all the best that the world IT industry creates is becoming the property of their clients. The main lines of activity of LLC SERVICE YOU are the supply of licensed software, software development, implementation of ready solutions, equipment supply and outsourcing.